Մոցարտի երաժշտական ընդունակություններն ի հայտ են եկել շատ վաղ տարիքում, երբ լրացել էր նրա երեք տարեկանը։ Այդ տարիքում նա գտնում էր կլավիսինի բարեհնչյուն ինտերվալներ։ Երբ Նաներլը դառնում է յոթ տարեկան, նա սկսում է դասեր առնել հորից, իսկ նրա երեքամյա եղբայրն ուշադիր հետևում էր նրան: Տարիներ անց` եղբոր մահից հետո, քույրը հիշել է. 1781 թվականի հունվարի 26-ին Մյունխենում հաջողությամբ բեմադրվում է Մոցարտի «Իդոմենեոս» օպերան, որը համարվում է իտալական opera-seria ժանրի գլուխգործոցներից և այսօր էլ չի իջնում օպերային թատրոնների բեմերից։ Հաջորդ մարտին Մոցարտին կանչում են Վիեննա, որտեղ նրան աշխատանք է առաջարկում արքեպիսկոպոս Կոլորեդոն, սակայն Մոցարտը այլ կարիերա էր ծրագրել, չնայած շարունակում էր ծառայել արքեպիսկոպոսին: Նա հորը գրել է.
Մոցարտի երաժշտությունը եղել է դասական ոճի կենտրոնում: Պարզություն, հավասարակշռություն, թափանցիկություն. սրանք են նրա ստեղծագործության բնորոշ հատկանիշները, սակայն պարզության այդ քողի տակ թաքնված է հուզական մեծ ուժ, ինչպես օրինակ, No. 24 C մինոր դաշնամուրային կոնցերտում (K. 491), № 40 սոլ մինոր սիմֆոնիայում (K. 550), «Դոն Ժուան» օպերայում: Շարլ Ռոզենը հետևյալ շեշտադրումն է արել. ↑ 9,0 9,1 9,2 9,3 9,4 9,5 Моцарт Вольфганг Амадей // Большая советская энциклопедия: [в 30 т.] / под ред. А. М. Прохоров — 3-е изд. — М.: Советская энциклопедия, 1969. ↑ Eisen, Cliff; Keefe, Simon P, eds. (2006). 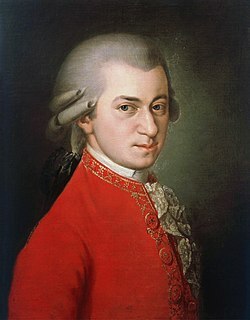 The Cambridge Mozart Encyclopedia. Cambridge University Press, p. 268. "You ask me to take the young Salzburger into your service. I do not know why, not believing that you have need for a composer or of useless people. [...] What I say is intended only to prevent you burdening yourself with useless people and giving titles to people of that sort. In addition, if they are at your service, it degrades that service when these people go about the world like beggars." ↑ Translation by Spaethling (2000:237); the letter dates from 24 March 1781. ↑ Barry 2000 . For detailed discussion of the influence of Opus 33 on the "Haydn" quartets. ↑ Mozart & Mozart 1966, էջ. 1331 . Leopold's letter to his daughter Nannerl, 14–16 May 1785. ↑ Solomon 1995, էջեր. 423–24 . A more recent view, Wolff (2012), is that Mozart's position was a more substantial one than is traditionally maintained, and that some of Mozart's chamber music from this time was written as part of his imperial duties. ↑ Solomon 1995, §30 . More recently, Wolff (2012) has forcefully advocated a view of Mozart's career at the end of his life as being on the rise, interrupted by his sudden death. ↑ Dupouy-Camet Jean, MD, PhD (22 April 2002)։ «Editor's Correspondence: Trichinellosis Is Unlikely to Be Responsible for Mozart's Death»։ JAMA Internal Medicine Critical comment and reply. ↑ Solomon 1995, ch. 8 . Discussion of the sources of style as well as his early imitative ability. 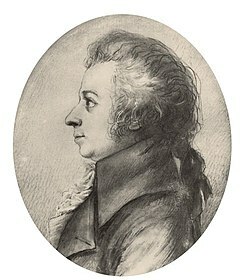 ↑ Jahn Otto, Townsend Pauline D., Grove George (1882-01-01)։ Life of Mozart։ London, Novello, Ewer & Co.